Our Medication Administration course covers various aspects of legal responsibilities and procedures. Our Medication Administration add on course will take one hour to complete. During this time, we will discuss your legal responsibilities as a medication administrator, as well as the local policies and procedures that you will need to follow. We will also think about the most common medications that you will come across and the classification that applies to different types of medicine. Following the course, you will have a better idea of the side effects and behaviour to watch out for when you prescribe certain medications. Our experienced trainers will also explain why it’s important to keep medical records and the best way recording techniques, so you are able to do this effectively when you return to the workplace. If you find that you make a mistake when administering medicine, it is essential that you report it in line with company procedures. All of the information covered in this training session will prepare you for having to administer medicine in a care setting. To improve the student’s knowledge and understanding of medicine administration so that they are able to do this safely and accurately. 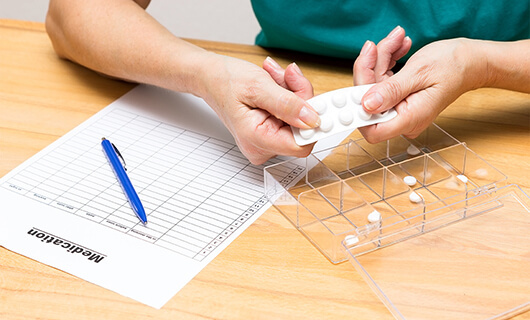 Anyone that working in the healthcare sector and has the responsibility of prescribing, administering and storing medication is required to have the appropriate medical training. In the past we have delivered this training session to nurses, care workers and chemists, just to name a few. Please get in touch to find out more. This course can be added onto any of our other courses or selected as a part of a bespoke course, tailor made to suit the needs of your establishment. The course can be any length depending on what you require but we recommend it as a 1 hour course. For a price as an add on or as part of a bespoke course please contact us on 01772 433080 or email us at info@centaurtraining.co.uk stating your requirements.